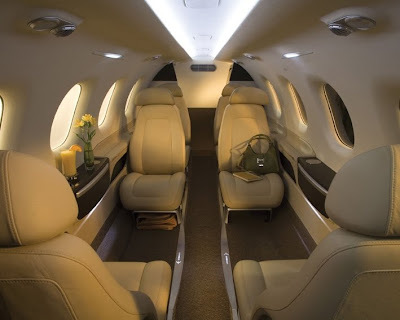 In a previous posting I wrote about my fascination with private jets. 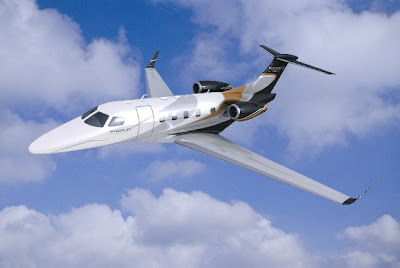 In particular, I would love to own a Gulfstream (the newest version the 650 is $60M. see my previous listing about this by clicking here). But they are mega expensive. 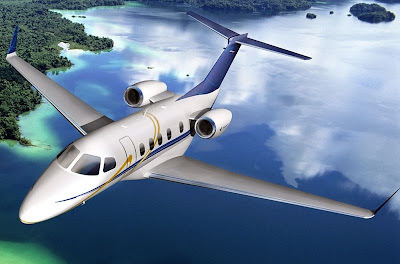 In recent years, several aircraft companies have developed a new breed of private jets that are titled "light jets". They are designed to be flown by only one pilot, they are much more economical to own and operate and are acceptable at more airports. This one is one I wouldn't mind having. 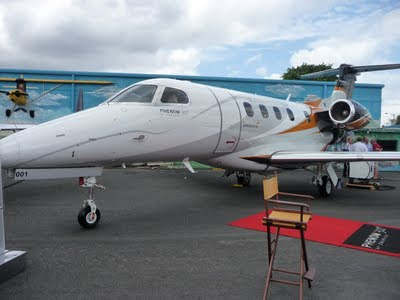 The Embraer Phenom 300 which is still in testing ($6.85M). 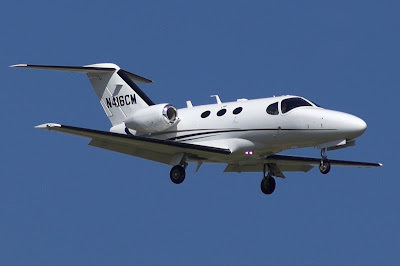 It is a larger version of the original tadpole, Phenom 100. The Mini-Me of them all though is the Cessna Mustang. Cute name but quel dwarfish for me ($3M). 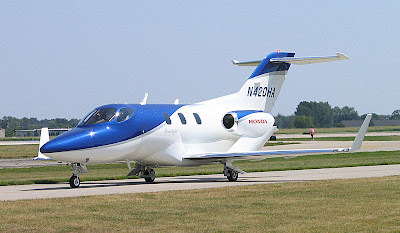 But if the economy is really limiting your purchasing power you could always opt for this ultra midget jet, the Cirrus Vision SF50. Bit too lilliputian and scary for me. I'd rather to take first class on a commercial jet than squish into this little flying looking coffin thing :) But it's only $1m. Would you like some pictures of one of my hobbies? Boats. If so can I send them to the blog from my computer? Did you ever see the Rolls Royce that doubles as a plane? I'm not sure if it ever made it to market but it was a plan!